It’s no secret that Jim & I love Jeep Wranglers. But Wranglers certainly aren’t the only Jeeps worth driving, in our opinion. For most of our married life together, we have owned at least one Jeep. Usually a Wrangler… but there for awhile, the Jeep Grand Cherokee was our vehicle of choice. However, since we purchased the Jeep Wrangler Unlimited a few days ago, we now have four vehicles parked at our house right now — 3 Jeeps and a sedan. So we decided to sell our 1994 Jeep Grand Cherokee — leaving us with 2 Jeep Wranglers and a Chevy Malibu. 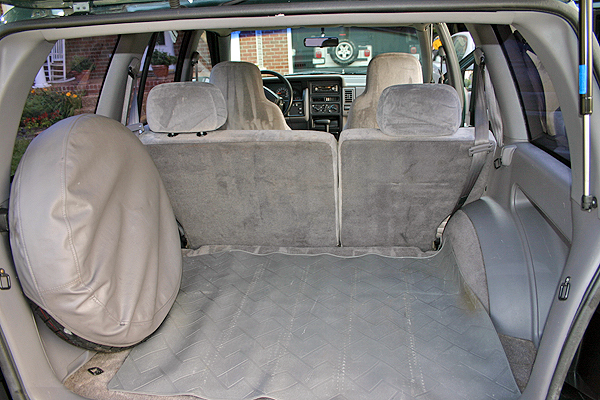 Our 1994 Jeep Grand Cherokee has 175,000 miles on it, and it’s still running strong! More proof that Jeeps are just great vehicles. They hold their value really well. Plus, they’re built solid — for years of reliability both on, and off-road. We definitely did our part to keep this Jeep in great shape through the years. I mean, we even kept every single paper, report, and maintenance record on it. Let me tell ya… this Jeep never looked so good! They even cleaned the engine. The very same day we put our Jeep Grand Cherokee on the lot (at the detail shop in our small town of Franklin, Tennessee) we started getting phone calls from interested buyers. One wasn’t crazy about the high mileage. A few just wanted to test drive it. One decided it wasn’t exactly what his daughter wanted for her first vehicle. This one guy even offered $3,000 cash on the spot if we dropped the price $950. We declined. After 3 days of phone calls from potential buyers, one came out to test drive it, then made us an offer. SOLD! We ended up coming down $250 from our asking price of $3,950. 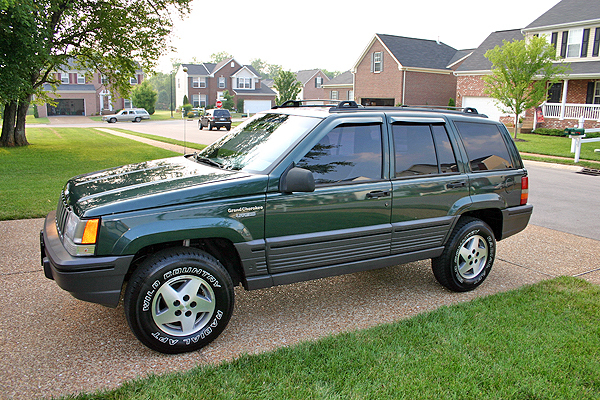 We bought this 1994 Jeep Grand Cherokee with 130,000 miles on it in 2002 for $4,500. We sold it with 175,000 miles on it in 2005 for $3,700. That means we drove this Jeep for 3 years for only $800 (plus maintenance). That’s a pretty good deal for a car that treated us right the entire time we owned it! Of course, we had the basic maintenance costs (and a few high-mileage type of maintenance issues), but this Jeep was definitely one of our smartest purchases (and sales) …ever.